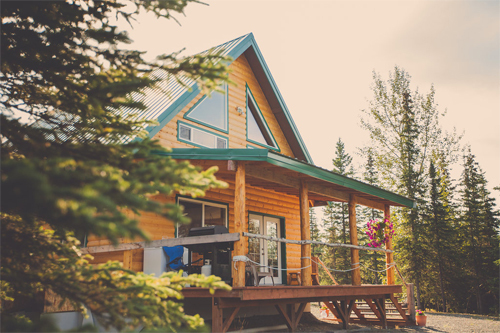 Alaska Homesteads is an Alaska Real Estate Directory, and includes listings of vacation homes, cabins, wilderness land and remote properties for sale. Also included are "for sale by owner" listings of lots, acerage, cabins and homes in Anchorage, Soldotna, Wasilla, Fairbanks, Juneau, Kenai, Homer and other areas of Alaska! Available vacation rentals are also now offered. 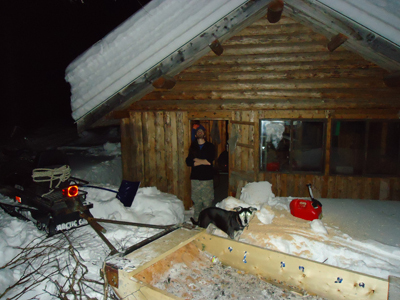 ALASKA HUNTING / FISHING CAMP OR LODGE ! Asking $189,000. This is a sportsman's paradise and one of the best hunting and fishing spots in the famous Bristol Bay / Tikchik Lakes area of Alaska. This is a remote fly in property with about 3/4 of a mile of river frontage! The cabin has 2 rooms and a shower, metal roof and is wired for a generator which comes with the property. The cabin and 40 acres comes as a turn key operation all items staying with the property also including 2 boats and outboard! 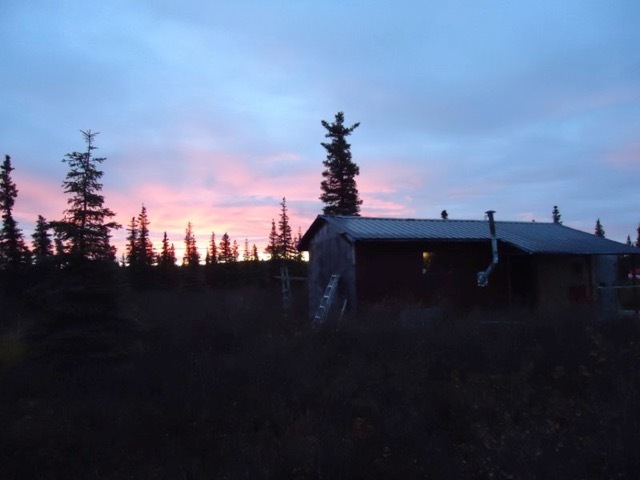 Prime unimproved rural Alaska property suitable for an exclusive lodge or other residential or commercial purposes on outskirts of city of Dillingham. Will sell all or half. 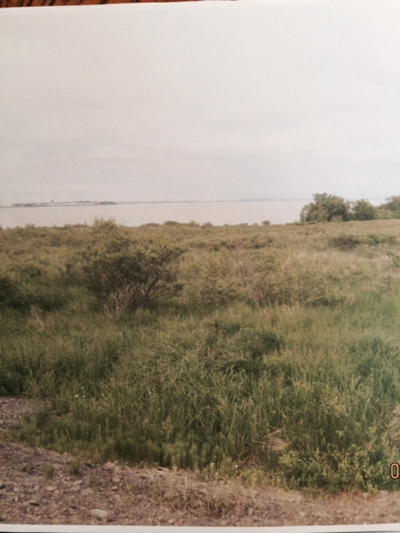 Large road frontage on paved road from Dillingham to the hospital. . Asking $200,000 for entire parcel. Fishing for salmon as well as rainbow trout and grayling. Brown bear, black bear, wolves and moose are harvested in the area. 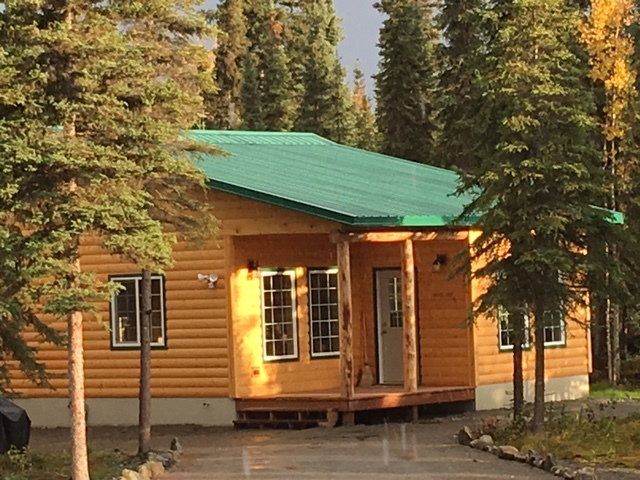 This upscale cabin with river frontage has 2 bedrooms and 1 bath on the Kenai River. Cabin sleeps up to 5. Lodging includes exclusive shore fishing for various species of Alaska salmon and trophy rainbow trout. Rental by the day or week between June 1st and October 15th. 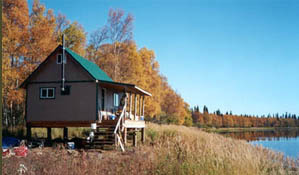 See our website at www.KenaiRentalCabins.com . Contact 907-242-7245 or email info@alaskaoutdoors.com for more information. This waterfront cabin on the Kenai River has 3 bedrooms and 2 baths with a large deck overlooking the Kenai River. Hickory cabinets, stainless steel appliances, and granite countertops. 350 ft of private shoreline for the best sockeye salmon fishing on the Kenai River. Rental by the day or week between May 1st and October 15th. See our website at www.KenaiLodges.com . Contact owner at 907-242-7245 or email info@alaskaoutdoors.com for more information. Check out our new Rentals page! Cabins and homes for sale, building lots, land and acreage also available for building your dream vacation home. Home mortgage and financing information available. Check out Maps and Information about the area! please visit our Land and Western Homesteads directory. 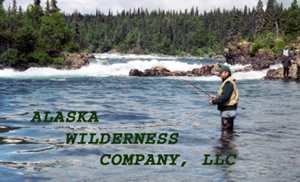 please see the Alaska Outdoor Adventures website. please visit our Great Alaska Hotels directory. © Copyright 2018, Alaska Internet Marketing, Inc. All rights reserved.